Quarterbacks in the NFL typically have a lot of room to run. But one former NFL player, Donovan McNabb, will be looking at much closer quarters for three months if a recent second arrest for a DUI holds up in court and he ends up in jail. It’s too bad for him that the mandatory DUI penalties in Arizona are much tougher than California’s DUI penalties. If McNabb received the typical second-offense sentence for a DUI in Los Angeles, he might serve as few as 96 hours in jail. 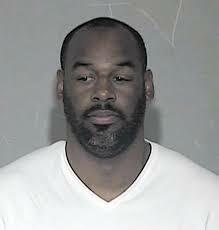 McNabb, the Philadelphia Eagles’ former Super Bowl quarterback, was heading home from a sports bar on June 28 when he rear-ended a vehicle driven by the wife of a Gila River tribal police officer, according to AP reports. (Fortunately the accident didn’t cause any injuries.) When officers arrived on the scene they noticed McNabb’s watery eyes and fruity breath and asked if he had been drinking. McNabb responded that the cough syrup and cough drops he was taking for his cold were causing his symptoms. The cops didn’t buy it. During the field sobriety test, McNabb couldn’t keep his balance and kept swaying from side to side. Police took him into the station and charged him with suspicion of DUI. Because it’s McNabb’s second DUI offense, he could be spending 90 days in jail under Arizona’s mandatory DUI sentencing laws. The former NFL player previously served 24 days in jail for his first DUI conviction in 2014. McNabb, who retired from football in 2011, has taken a leave of absence from his job hosting a sports radio show on ESPN.